I love this explanation of the vicious cycle of obesity. Dr. Scott Isaacs is an endocrinologist and weight loss specialist out of Atlanta, GA. You can ‘like’ him on Facebook to receive his frequent tidbits. This particular article was published in Publix’s Family Style Magazine, so pick one up to read the full article. I love finding these educational treasures! 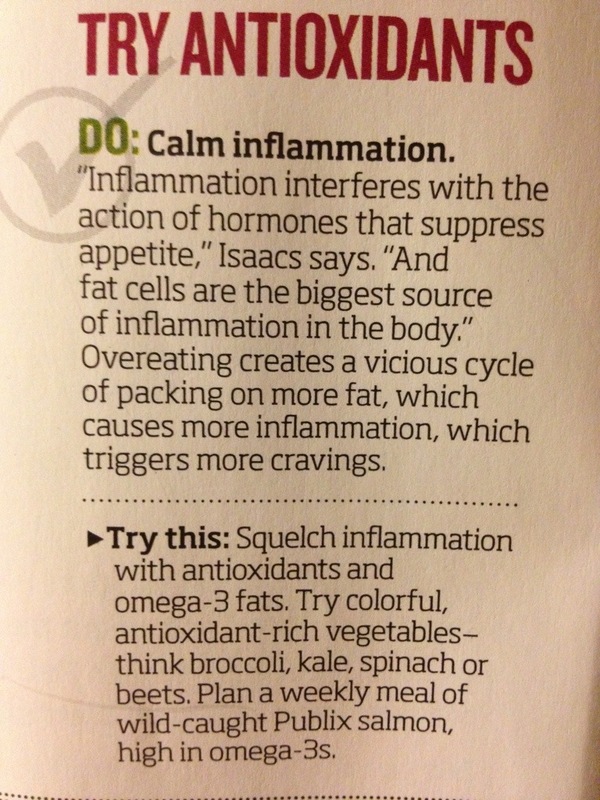 Take a few moments to read this article about the correlation between inflammation and disease…very eye-opening! What I’ve learned about our cells is that our bodies crave what we feed them. Therefore, if we eat sugary drinks like soda and eat sugar filled foods with additives, our bodies want more. However, I’ve learned most people are willing to start by swallowing a whole food nutrient capsule or chewable of Juice Plus once they realize by digesting it helps their cells crave healthier food as our bodies take 4 months to regenerate. Hippocrates had it right when he said, “Let thy food be thy medicine and thy medicine be thy food.” See http://www.JenJacksonJuicePlus.com and http://www.JenJackson.TowerGarden.com to watch great educational videos about helping the body heal through improved nutrition intake from food without pesticides and herbicides.